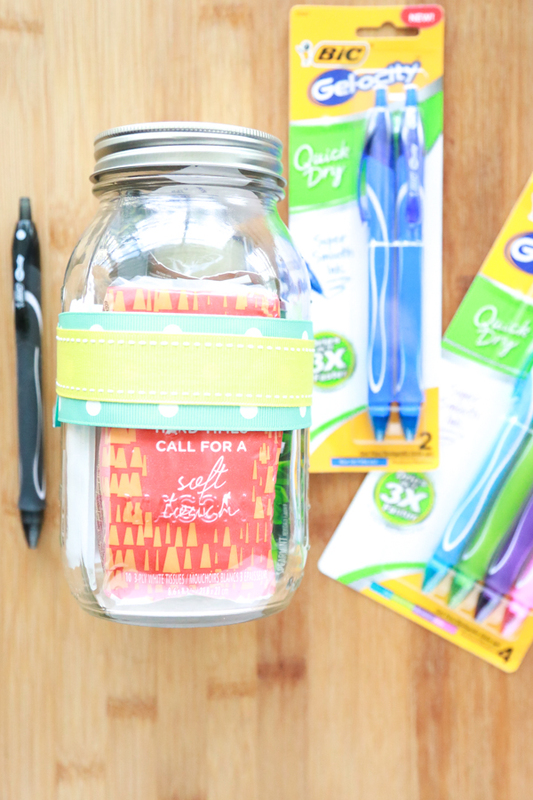 Looking for a quick & easy teacher appreciation gift? 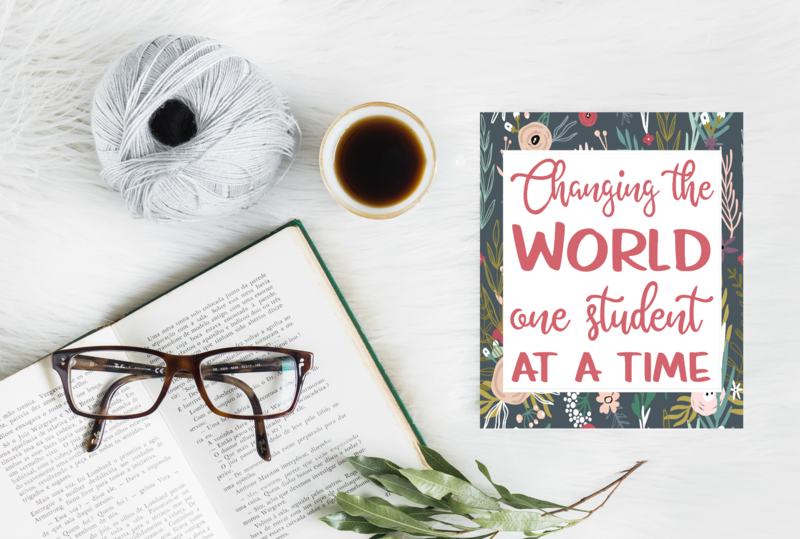 Print out this Changing the World One Student at a Time printable, frame it, and call it a day. When my children were in school I tried to make it a point to always let their teachers know just how much I appreciated them. 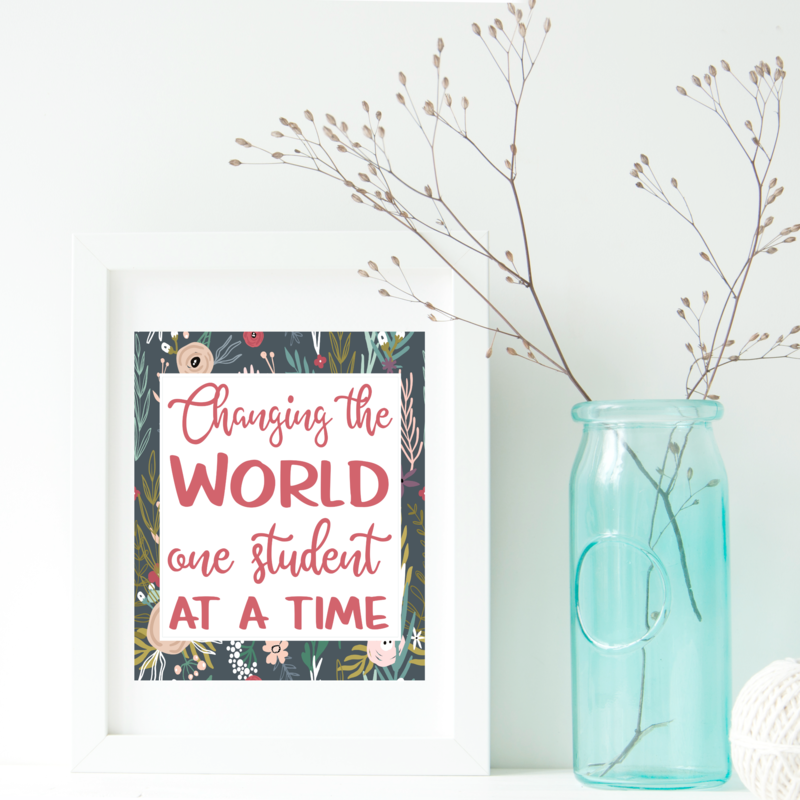 Whether it was a handmade gift, a store-bought gift, or a gift card, I wanted them to know that I saw their hard work and dedication to the children in their classroom. 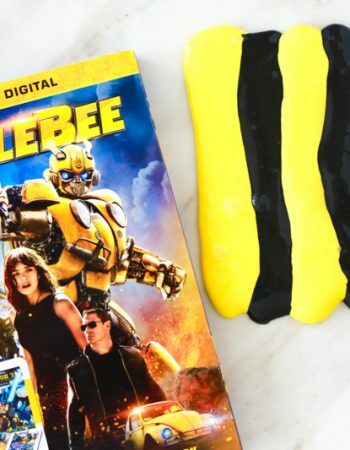 I didn’t always spend a lot of money on their gifts, but I always tried to make sure the gifts I gave them were heartfelt and unique, no matter how inexpensive they were. Whether I’m spending $5 or I’m spending $50, I want to make sure they enjoy their gift. Being a teacher definitely isn’t an easy job, especially when you’re dealing with children that aren’t your own. I remember being in school and seeing the things that went on. But what I remember the most are the teachers that truly cared. Those teachers will forever have an impact on my life. I remember the thoughtful words. I remember the encouragement. I remember the words of wisdom they spoke into my life. 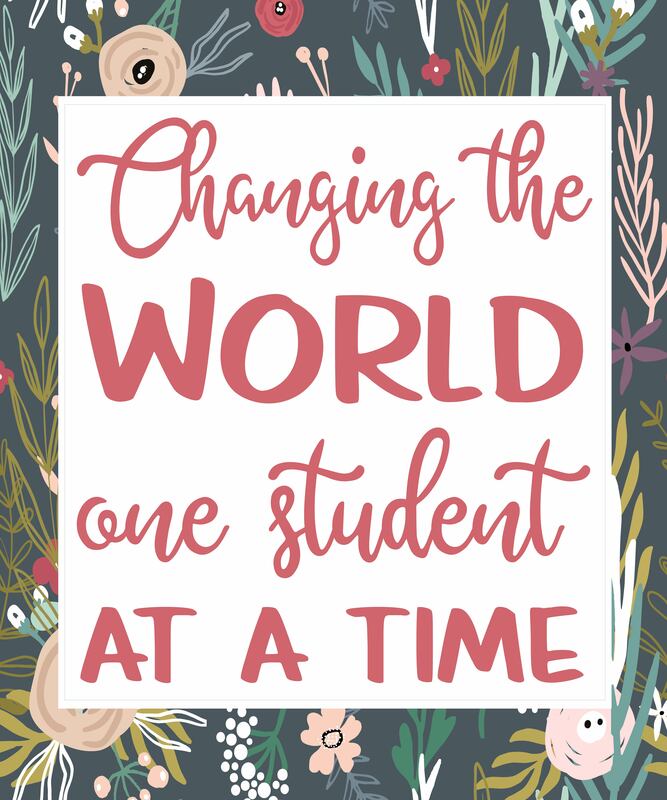 Teachers truly are changing the world one student at a time. 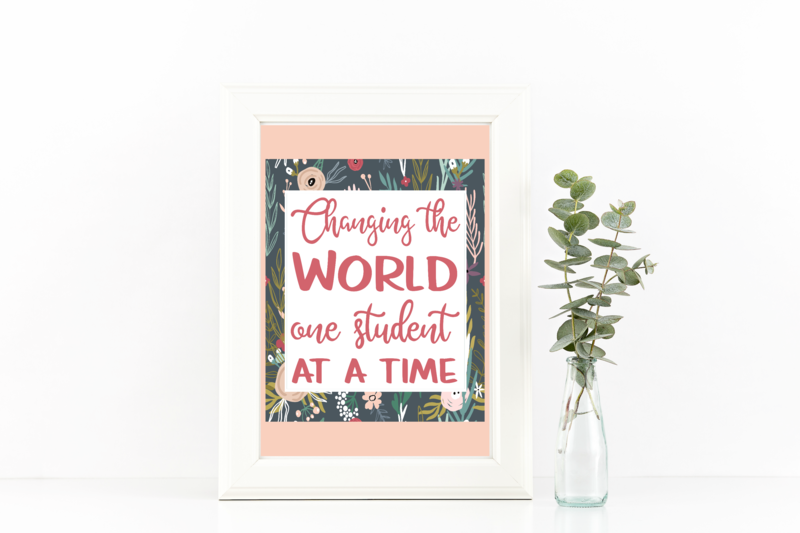 This Changing the World One Student at a Time printable is a great way to show that special teacher just how special they are. I’m sure that teaching is a hard job without many thanks. But it doesn’t always have to be that way. Go out of your way today to make a teacher feel special. 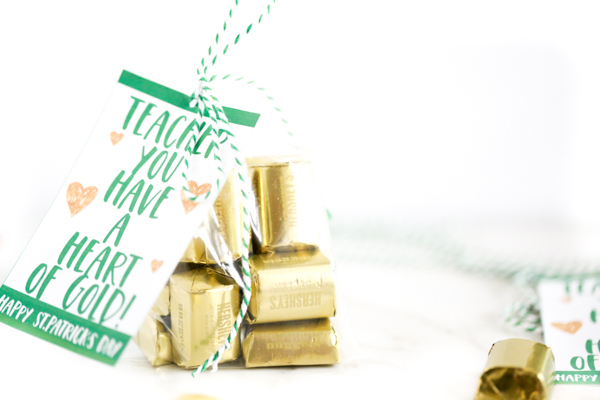 To make this super cute teacher appreciation gift, simply print out the free printable on the best print setting your printer allows. If you want a smaller print to put in a smaller frame, make sure you change the settings to reflect the size you need. Put the print in the frame. If you want, you can have your child write a small message on the back of the frame with his/her name and year so that it will be something the teacher can look back on years from now. 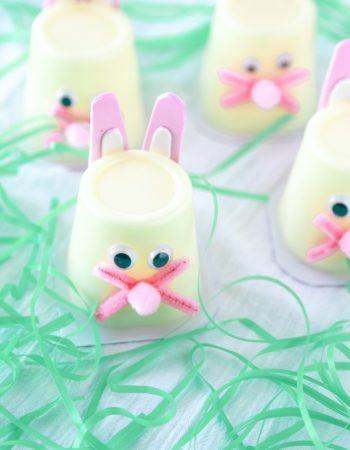 Don’t forget to pin this to your favorite Pinterest board so you don’t lose it. I’ve included a pretty pinnable image for you to use to make it easy! Also, I want to be friends. 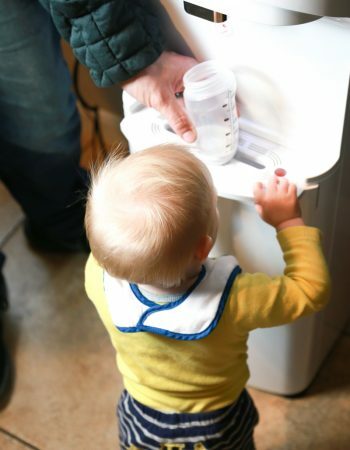 Follow me on Pinterest for lots of great DIY’s, recipes, and more! Thank you! As a teacher myself it is so nice to know that some people appreciate us lol! The gift ideas are just beautiful and thoughtful. I love them! What the perfect printable for any teacher to have. I am so going to show my teacher friends this! I know quite a few teachers that would love to have a copy of this! Thanks for the printable – now to pick up a frame or two! I agree that it’s so important to value our teachers. 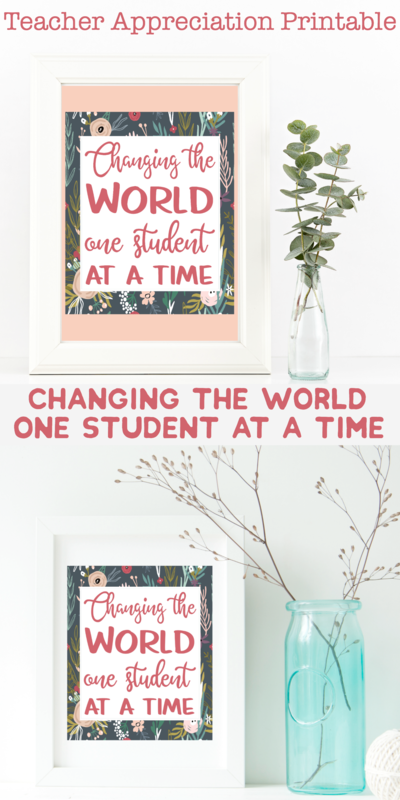 I’m sure many teachers would enjoy those gifts and that printable for teachers is great. 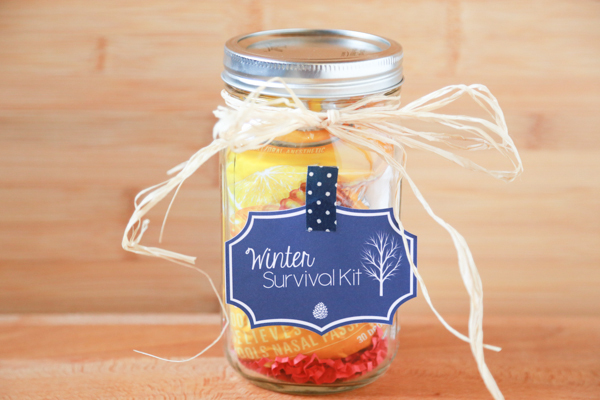 This will make a great gift for any teacher! I will have to print and frame this for my nieces teacher. While I am not a teacher in general, I am a mom and new to homeschooling. This printable will help me remember the difference I am making by teaching my son. 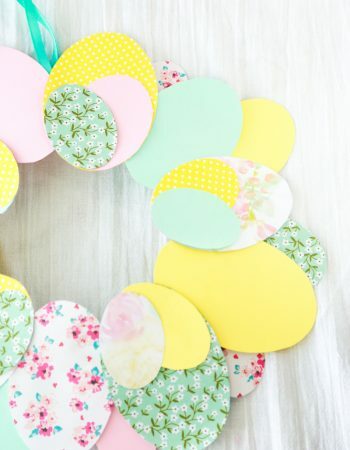 What a fun printable! I am so printing this for my children’s teachers. I love it so much! 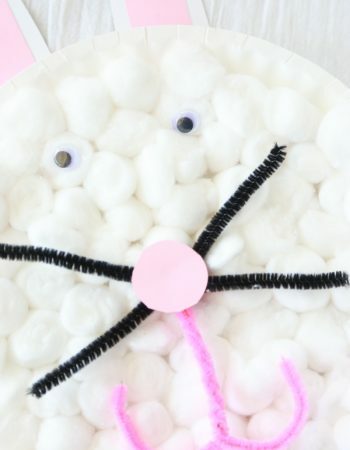 This is a really fun printable. I am so going to have to use this. What a cool idea. This is a great idea. I know my kids teachers would love to display this. I always like to give a little something homemade and add it a gift card to a supply store. I love this, such a great printable for a teacher. I can’t believe really have 2 months left!